The UPG_PFC is a small stepper motor driver that attaches to a parallel printer port (e.g. LPT1:) on a desktop PC. Some Mann/GCA steppers adjust for focus using a small stepper-motor based unit called the Programmable Focus Control or PFC. This normally requires that a controller board be installed in the PDP-11 minicomputer. The UPG_PFC unit replaces this controller board and allows the original stepper minicomputer to be completely removed from an upgraded stepper. 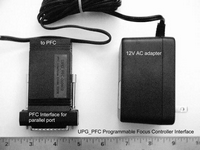 The UPG_PFC connects directly to the PFC using the original cable and requires only an additional 12VDC adapter (supplied) to operate. The UPG_PFC electronics are optically isolated from the parallel port so PFC motor noise will not affect the operation of the desktop PC. 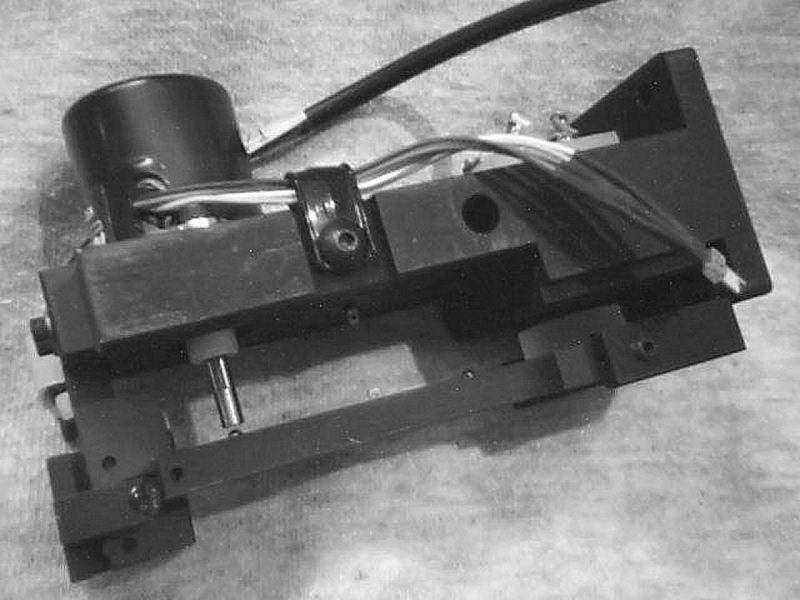 Note for 2006-Feb-01 : The linear actuator for the PFC was a Thomson Industries/Airpax K92121-P2. The Airpax line is now part of Danaher Motion. The relevant technical information on the linear actuator can be found here.